Here’s just one little picture including some of the new stuff. for the rest, go to the MSDN link above! In the RC, we’ve added indicators for bugs, workitems, and code reviews that were attached to changesets for that code. Keep in mind, this is changesets associated with that class/method/property, not changesets associated with the file! 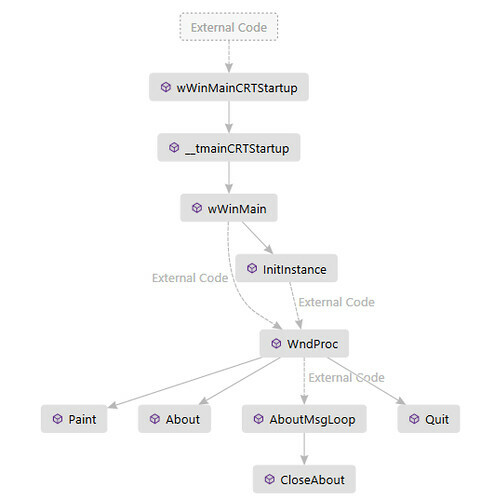 This makes it super easy to browse through the code and see exactly who (authors indicator, showing the last person to change the code (above, Jamal Hartnett and 2 others), what (4 changes affected that constructor), why (for 2 bugs and 1 workitems), and who reviewed those changes (1 code review). You can also see that that constructor has 12 references from other code, and that in the current state, only 6 of 11 unit tests are passing. We also hooked up Lync integration, so if your org is using Lync, when you open the details popup, you can see the Lync status of the people who’ve touched the code (looks like Jamal is green, so he’s available! 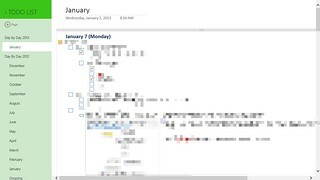 ), and you get the full lync integration, with a link contact card, and the ability to IM or start a call/video chat right from inside the IDE! We also added expanders, so in all of the TFS powered indicators you can see what workitems are related to what changesets by clicking the standard VS triangle expander. There’s also a new icon up in the upper left corner that lets you dock the popup into a full toolwindow, so you can move it around, make it bigger, and keep it open while you click through references or tests and navigate around in your code. Each different indicator can dock to its own toolwindow. The references, test status, and tested by indicators also got makeovers and new features, so make sure to check those out as well. Those indicators are not powered by TFS, so they’ll work even if your org isn’t using TFS! So as an MSDN subscriber, you get up to $150 / month of credits on windows azure. And azure supports wordpress, so… I created a site on azure in like 5 minutes, exported the content from my garage based server, imported into my new azure site, and blammo, it’s back up. Admittedly, it took some time to re-install all my plug-ins and find a new theme (the theme I was using hasn’t been updated in 2 years, apparently? ), but other than that it was a pretty painless process. Then I tweaked some DNS things (which required overnight to propogate), and everything appears to be working. So far! I’ve been looking for a way to move all of my hosted stuff off of the server that’s running in my garage, and the combination of this, azure’s VM service, and the MSDN credits might finally be a solution! 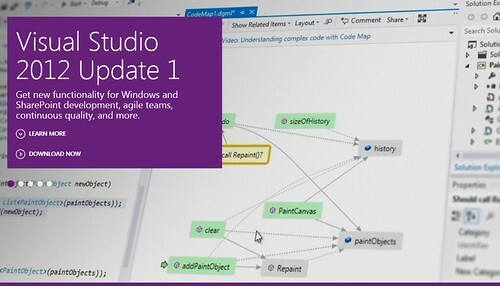 In the last “what I work on” post, I talked about the Code Map feature that was new in Visual Studio 2012 Ultimate (Update 1). It has turned out to be a very popular feature (as it should) because it is super useful! After people have used Code Map for a while, one of their first requests is “how do I get debugger information into this map?” There are ways to do it, where as you step through code, you keep manually doing “show on code map” on the method you’re in, but that gets very tedious. So, for Update 2 (now available!) 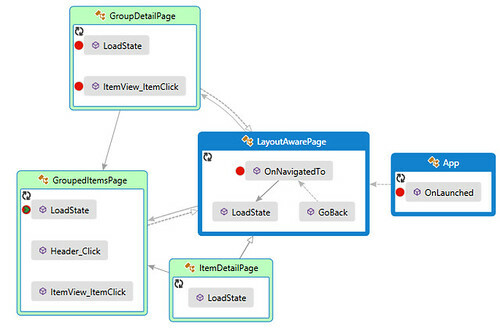 we added debugger integration to Code Map! To see it in action, you can watch this channel 9 video, or update today and play with it yourself! When debugging the “old” way, you have to watch both the editor window and the call stack window, step in or out or whatever, and try to mentally figure out what is still on the stack, which commonly ends up in “where am I now?” or “how in the world did I get here?” kinds of issues. And then, as soon as you stop debugging, the call stack window goes away, and if you were stepping through code that you don’t have open (so it was open in VS’s preview tab), then most of the files you stepped through aren’t open in the editor anymore! I know that I end up copying the call stack, and pasting it into notepad so I can remember where I was. Or, if I’m trying to correlate multiple call stacks, I paste them into columns in an excel spreadsheet, then do a lot of excel work to line things up to figure out what is the same. 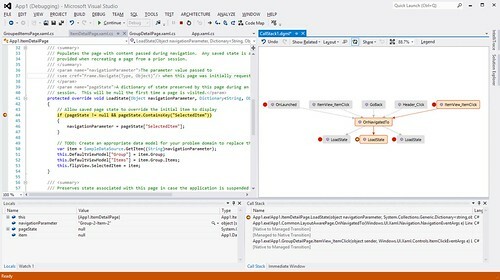 Instead of all that… debugging the “new” way with the code map debugger integration gives you a nice little treasure map of where you’ve been (gray nodes), where you are (the standard call stack arrow, visible in the map, the editor, and the call stack window), and everything that is currently on the stack (orange nodes). As you hit breakpoints or step around in code, the map updates to add whatever is on the stack at that point in time. And when you stop debugging (and the stack window goes away! ), the map is still there, and still functional! I did several steps to get to this diagram, by clicking the “LoadState” item in the first graph, and doing “find references”, which added 3 LoadState overloads from other classes. Then, I selected everything and did “show containing type”, which added the groups. Then I did “show derived types” on LayoutAwarePage, showing that 3 things on the graph are green, indicating they are the types that are subclasses of LayoutAwarePage. In the first graph, all the items outside your solution end up being elided, and just show up as dashed links with “External Code” labels. 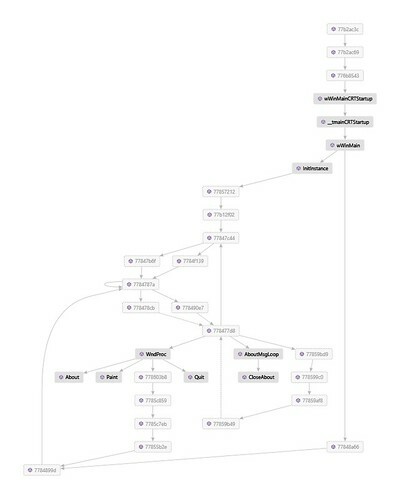 With “show externals” turned on, code map creates an individual node for everything that shows up in the call stack window, with a faded out look. If the external assemblies have debug information the debugger can see, they’ll have somewhat useful names, but if you don’t have debug info for those assemblies, you just get addresses, but you still see the relationships! you can see that Win32 has a lot of loops! drive vehicles in 3rd person view, because the sandbox area is so big. fly vehicles / people in 3rd person sandbox mode, because that’s a little different controls than driving. The large amount of control schemes made it hard for Easy to pick up. 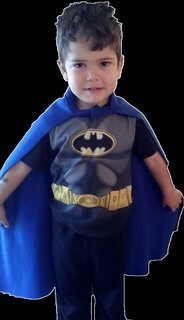 In the sandbox area, a lot of the times he was really confused about what he was supposed to be doing, and how to do it. 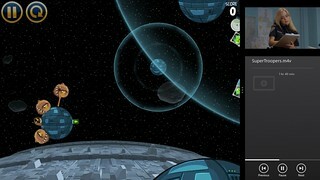 The other interesting thing was how the in-mission split screen worked. The first time the “auto” split screen took over, we didn’t even notice right away, and we realized we were on opposite sides of the screen from where we were sitting on the couch, so we switched spots. and like 2 minutes later, I realized that somehow we were again on the opposite side of the screen from where we were sitting. The splitscreen is actually genius! If you’re close together, there is no splitscreen. as you get farther apart, the screen divides, but not exactly horizontally or vertically. Depending on where you are and where you are going, the splitscreen might be diagonal, and as you move around, the split line moves with you. As long as you’re watching your own character, you never really notice it. I imagine that a 3rd person watching might get really confused and a little dizzy, though. 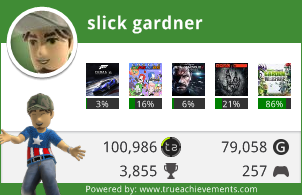 That being said, I think it is the best lego game so far. The voice acting gives the game a lot more sense of character, and allowed them to tell a new real story, instead of how most of the Lego games are a caricature or some existing content. 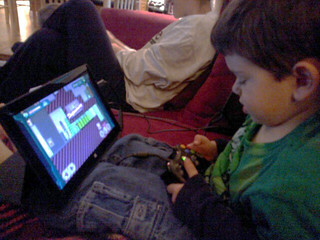 It also let Easton follow in the story without me having to explain what was going on, or read all the captions to him. The one thing we really missed from the original Lego Batman was being able to play the missions from the bad guy point of view. that was one of the most clever things in the original! Because of that, the story part of the game seemed pretty short. when we finished it and the credits started rolling, both Easton and Laura said “that’s it!?”. Then I explained that we had 250 gold bricks to find, 20 red bricks to find, 50 people to rescue, a ton of guys and vehicles to buy, etc. Even 2 weeks after finishing the story, we’re only 76% complete, and still have yet to go through all of the missions again in story mode! 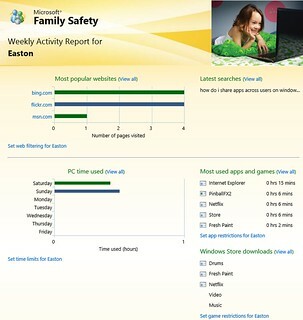 My only other major complaint was the autosave stuff in sandbox mode. If you find something that causes it to save, both of your characters freeze and can’t move for ~5 seconds. But nothing else freezes, so if there is money to pick up, it might disappear during the save. If there were bad guys attacking you, they keep hitting. if you were driving a vehicle, you just go straight for a while. That could have been handled a little better. There were lots of other minor gripes, a fair number of freezes or crashes, some glitches where we got stuck in walls or floors, etc, but that’s all par for the course, and they were rare enough to not be a big deal. One thing that I did like, however, was that (finally!) a lego game doesn’t make you press all kinds of buttons to load a game. It used to be that you’d press start, press down once to select “load”, press A, the save location prompt appears, select your location, press A, choose your save, press A, loading starts, it says it was successful, Press A, it warns about autosave press A (start,down,a,a,a,a,a). This version auto finds saves, so you don’t get prompted for locations if there’s only one, and you can just press start, then A A A and you’re in. TL;DR: best lego game ever! 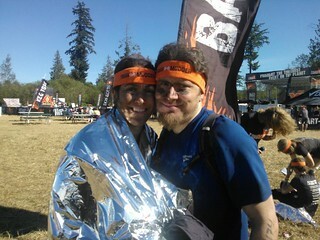 If I had to describe Tough Mudder in 2 words, the nicest version would be “holy hell”. 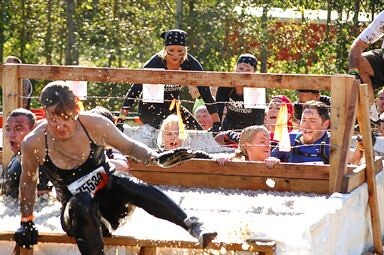 If you don’t already know what it is, Tough Mudder is an adventure-style race. 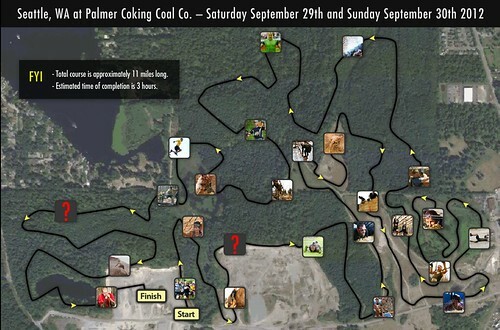 It’s generally 10-12 miles, littered with obstacles. And the obstacles are crazy. Laura and I were on a 4 person team, “Birthday Cake”, as it was one team-member’s birthday. Beside Laura and I, the other two ladies on the team (Buffy and Erinn) are women we know through Columbia Athletic Club, the gym we go to. Well, actually, one of the ladies on our team is a trainer at Columbia, who Laura sees regularly, and who I’ve been working with once a week since the “spring challenge” starting in April. Anyway, back to the race challenge! shocks on the rocks. 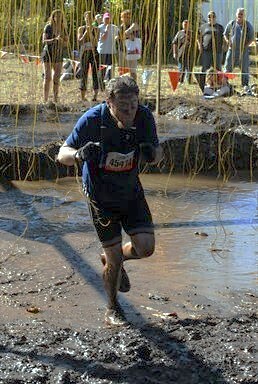 belly crawl through water+muck, with live electrical wires dangling down. this one wasn’t too bad, as I could stay low, push off, and slide across the mostly smooth plastic flooring covered in muddy water. if it had been rocks, this would have been hell. I only got shocked a few times, and they were in the hips, making my whole leg seize up. crazy. Berlin walls 1 & 2. Vertical wood walls 12 feet tall, in pairs. there’s one foothold at the bottom, maybe 2-3 feet off the ground. I got used as a ladder for this one, boosting people up by doing a wall sit, then having people step on my thigh, then shoulder to get to the top. I managed to get over them myself, with a quick hop up and off the foothold, and pulling myself up and over. There was also a 3rd wall challenge, where you had to climb some logs first, and kind of jump from the last log to the wall, then climb over. Funky Monkey & Rings. Funky monkey is a set of monkey bars that follows the slope of a roof. the first half is ascending, then the second half descending, probably 5 bars on each side. and the bars spin in the holes. If you can’t hang on, you end up in a muddy lake. On a normal day at the playground, I might be able to do this. but with the ascending/descending part, and the distance between the bars, I wasn’t sure I’d be able to do this one. But I took it slow, and used the spinning of the bar to my advantage. it let you hold onto the bar and let it rotate to swing, instead of having to have your (wet, muddy) hand slide on the bar. I got through this one and stayed dry. The ladies, not so much. Later on, there was another similar challenge, with rings instead of bars. Slow and steady, with a nice swing between them, and I stayed dry on this one too (although I almost derp’d the landing and fell in!). Again, the ladies, not so much. The rings were especially enjoyable, as it made me feel like I was on American Gladiators! Walk the plank. After staying dry on the bars + rings (and climbing a giant hill, and climbing down said giant hill), there’s no way around this one. Climb up to a platform, then jump ~15 feet down into a muddy lake. Personally, I’ve never jumped from that high into water. Plus muddy shoes and a camelbak? And it was a lot deeper than I expected (I never touched the bottom), and it was shockingly cold. Laura’s legs cramped up on the swim out, so that wasn’t good. The lifeguards gave her some salt to eat, and she walked it off. Boa Constrictor. We saw this one very early in the race, but it was one of the last ones. you see it, then wind way away, and don’t wind back that way for 10 miles. A giant plastic culvert pipe heads downhill, into a little pond, and another pipe goes up from the pond back to the top of the ditch. It looked much worse than it was going to be, the pipe was mostly smooth inside, which was refreshing after crewing through all the rocky stuff we’d been through earlier. getting down was much easier than getting back up the other side, though. the pipes were pretty smooth inside, and they were small enough that you couldn’t really use your knees. Fireman carry. You had to carry someone for 100 yards. Laura gave me a piggyback ride, then I tried to carry Laura using a true fireman carry. I could only do it that way for about half the distance, then gave her a piggyback ride. when was the last time you gave an adult a 100 yard piggyback ride? Zig-Zag. I’m not sure the real name of this obstacle, but it was my favorite. climb up a near-vertical 30 foot muddy hill. Move over 25 feet, and climb down the near-vertical muddy hill. Repeat a few more times, up and down, up and down. I don’t know why it was my favorite, but I enjoyed it! Random other things. carrying logs, climbing a vertical rope net, climbing a rope net on the face of a steep hill, climbing under barbed wire, climbing over and under logs, slogging through mud, swamps, climbing through a narrow underground tunnel, etc. Everest. This is one of the last challenges, and one of the few that is impossible without teamwork. It is a giant plastic quarter pipe. And it’s wet, and slippery. so you can’t just run up. but since it’s a quarter pipe, you can’t just stand there and get close enough to the top. so you run up, reach, and grab people who are already up there. you try to climb and they try to haul you up. We saw several people attempt, and try to leap and grab, only to slide out of someone’s hands and bang their head on the pipe as the slide down. And the slide makes that humiliating “screeeeeeeeeeeeeeeeech” noise as you slide down face and hands first. Everyone on our team took at least 2 tries, except Laura might have made it on the first? 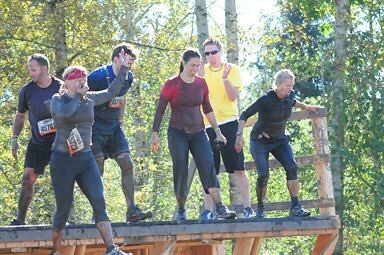 This was one of the last obstacles, so you’re already 11+ miles in and physically abused by the time you get there. Electroshock therapy. As if the early one wasn’t bad enough, this one is a much longer field of live wires hanging down. probably “only” 20 yards of distance, but about a food of muddy water and a berm (hay bales? I don’t remember) in the middle. I’ve never been shocked like this before. Each time I got hit there was a loud “SNAP!” and entire parts of my body tightened and tingled. Some were weak, some were strong, but every time you heard a SNAP from anyone around you, you flinched. I just tried to run through, and about halfway I kind of found a path that was reasonably clear, but I probably got shocked about 10 times total. OUCH. Some people belly crawled through, literally face in the mud, to avoid being shocked. Others ran through and hit wires and BAM, ended up in the mud unintentionally. BEER! When you finish, they give you a bandana, some protein bars, bananas, a t-shirt and a cup of beer. so that was nice. Sadly, we ran the last heat of the day, so most of the other stuff was shutting down, the band was done playing, most of the stalls were cleaning up, etc. Only ~1500 people ran Sunday, but 7000+ ran Saturday. that would have been a sight to see! All in all it was a long, exhausting day. It was lots of fun though! I expected to do way worse, as I’ve never run anything nearly that long. I’ve done some 5k’s, and I’ve run farther than that on a treadmill, but nothing close to 12 miles. I also got through pretty much all of the obstacles, clearing walls by myself, and getting through the rings and bars, so I’m pretty stoked about that. If we were to run it again, I would do some stuff differently, though. I wore shorts and a dri-fit style running t-shirt. 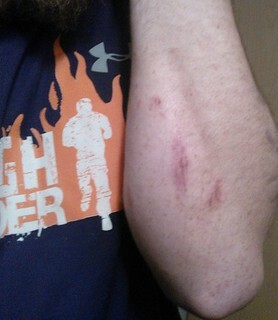 with all the crawling on rocks and dirt, that left my knees and forearms and elbows completely unprotected; they are now painfully cut and scraped. The ones on my forearms are particularly lame, as it means i can’t really rest my forarms on anything, like i normally would when typing, ec. Next time, shorts that cover my knees, and 3/4 length sleeves at least. you spend so much time wet, that sweating through a long shirt isn’t really going to be an issue. I would have also used sunscreen on my face. you can’t really see it well, but they use a permanent marker to write your bib number on your forehead and arm, so when your bib comes off (it will!) you’ll still have your number. the number came off my forehead, but now I have a very faint sunburn outline of 45474 on my head. 🙂 The other problem I had was getting mud+crap in the tops of the ankles of my shoes. I’m not sure how to avoid that, but it sucked. Running it Saturday instead of Sunday would be fun too, as there’s a lot more people helping each other, and a lot more festivities at the end.